Nearly 100 companies, including Apple (AAPL.O), Google (GOOGL.O) and Microsoft (MSFT.O), banded together on Sunday to file a legal brief opposing President Donald Trump's temporary travel ban, arguing that it "inflicts significant harm on American business." Trump's executive order of Jan. 27, the most contentious policy move of his first two weeks in office, faces crucial legal hurdles. 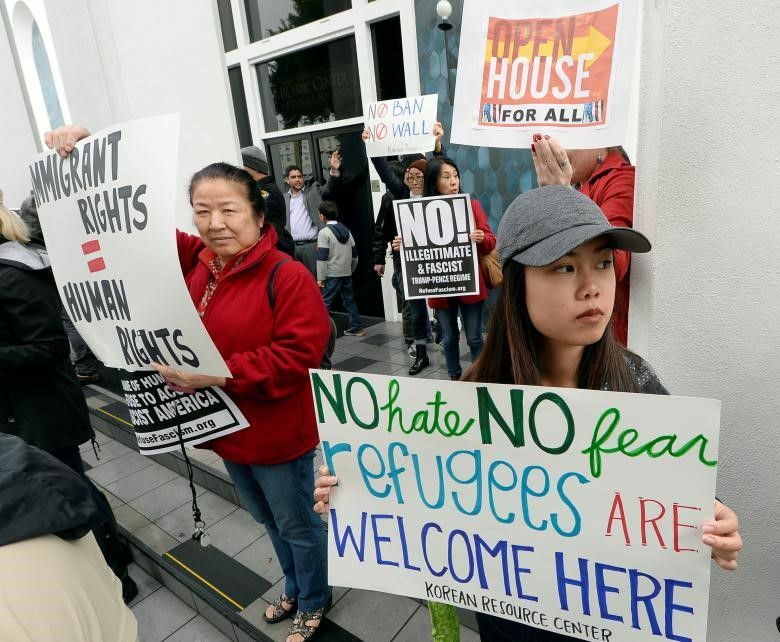 A federal judge in Seattle on Friday blocked the move, and the Trump administration has a deadline on Monday to justify the action, which temporarily barred entry to the United States by people from seven mostly Muslim countries, as well as suspending the U.S. refugee program.